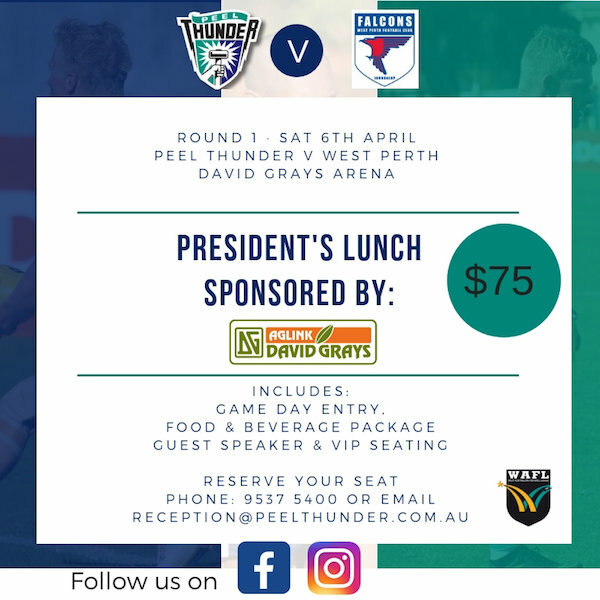 Peel Thunder Football Club match day hospitality, the President’s lunch, is without doubt the biggest President’s lunch function in the WAFL. Held at each Peel Thunder home game, this event is hosted in the Platinum Room (David Grays Arena) overlooking the ground and is renowned for gourmet dining, networking opportunities and just a great day out. The first lunch is scheduled for Round 1 - Peel Thunder v West Perth and is sponsored by David Grays Aglink. 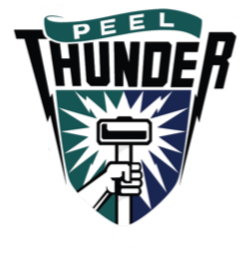 If you are a Sponsor or Platinum Member please contact Paula Barnden at marketing@peelthunder.com.au to make your booking.